Home > Questions > Do you offer calf / leg slimming injections? We have recently been asked about calf slimming with anti-wrinkle injections. Calf slimming is a procedure in which anti-wrinkle injections are injected into the gastrocnemius muscle (calf muscle, shown below) to cause muscle wasting and slimming of the muscle. 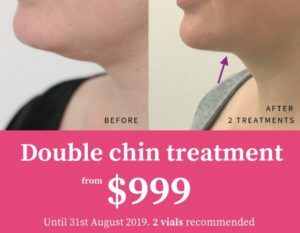 It is a popular treatment in Korea and Japan but less common in Australia. We do not offer calf slimming treatments as we feel that the risks outweigh the benefits. How many units do patients normally have to slim the calf muscles? The calf muscle needs a large amount of anti-wrinkle units to reduce its’ strength. When we treat the masseter muscle for facial slimming we use between 25 and 30 units each side (total of 50 – 60 units). Compare this muscle with the calf muscle, which you need to walk around and climb stairs. The units that the calf needs is much higher than the bite muscle so I estimate at least 100 units to each muscle to cause a slimming effect. This makes the treatment prohibitively expensive for most people. The calf muscle is an important muscle in helping return blood from the lower legs to the heart by a procedure known as the ‘calf pump’. When we walk the calf muscle contracts and causes an increase in pressure in the blood vessels of the lower legs. This in turn squeezes blood back towards the heart in order to be pumped around the body again. When we have been sitting for a prolonged period of time, and not walking, the calf muscle has not been used and fluid can accumulate in the lower legs. This is partly why your legs swell when on a long plane journey. Treating the calf muscles with anti-wrinkle injections causes a reduction in the calf pump which may cause an increased risk of DVT and swelling in the ankles. Injection of anti-wrinkle products will weaken the calf muscle and make it more tiring to climb stairs and may be more fatiguing for the lower legs when walking.